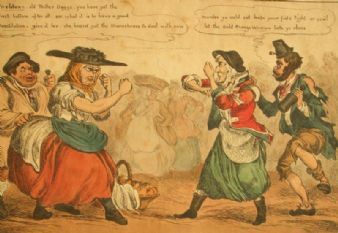 A pugilistic encounter between two old market-women who are Eldon (left) and Wellington (right). 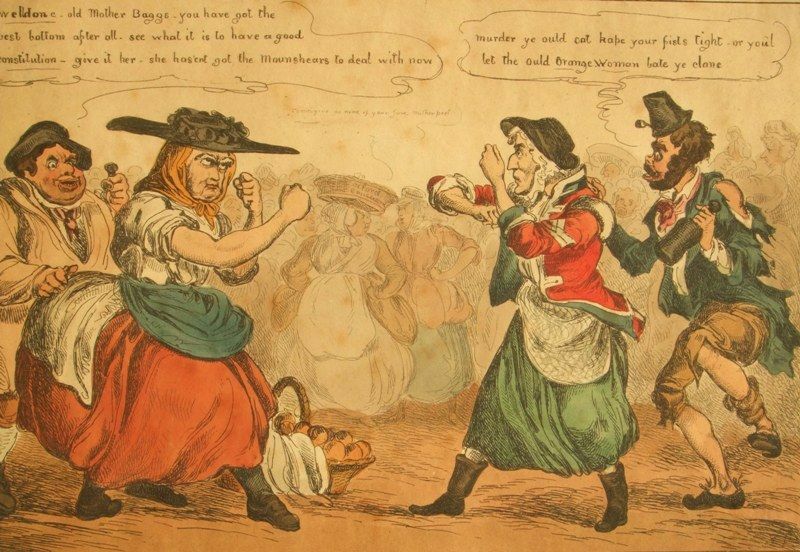 William Heath; 1795-1840 - also known as Paul Pry, was a British artist. 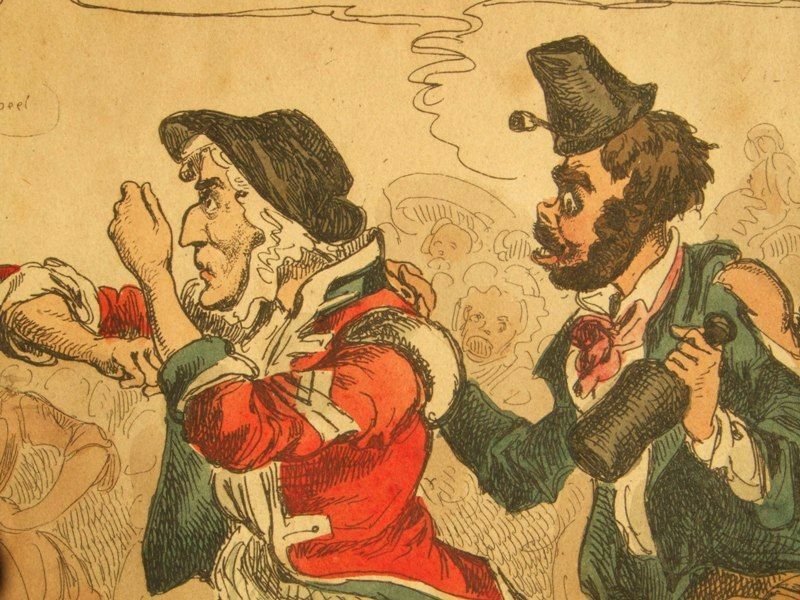 He was best known for his published engravings which included caricatures, political cartoons, and commentary on contemporary life. 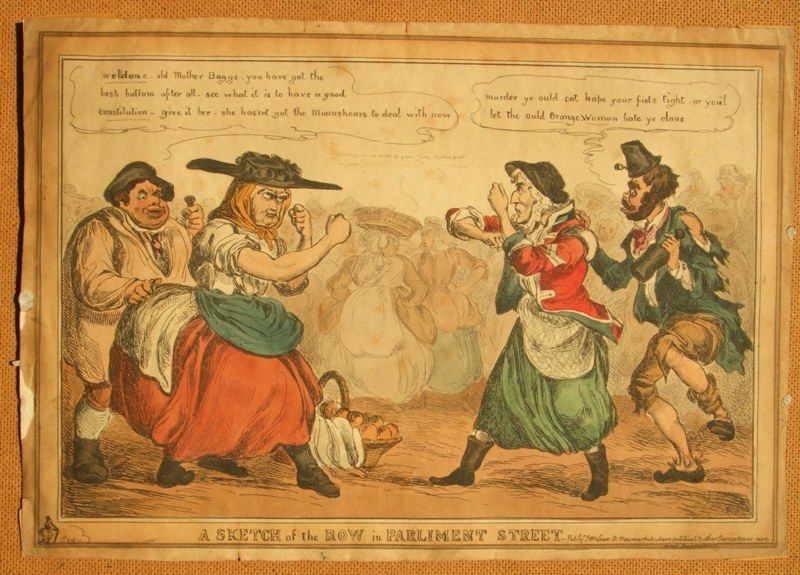 His early works often dealt with military scenes, but from about 1820 on he focused on satire. Some of his works were published under the pseudonym Paul Pry. 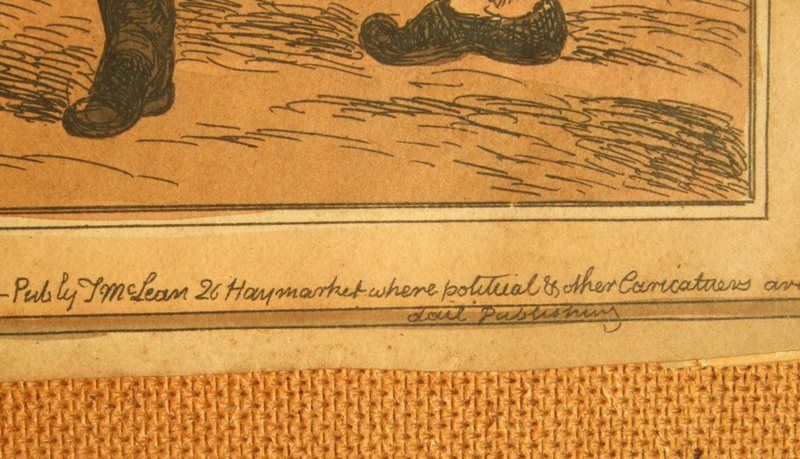 An engraving in black ink, with original hand colouring, the image size measuring approximately 33 cms. x 22 cms. (13 x 8½ ins.) on an early paper sheet size of 37 cms. x 26 cms. (14½ x 10 ins.) trimmed to within the platemark as was the practise. 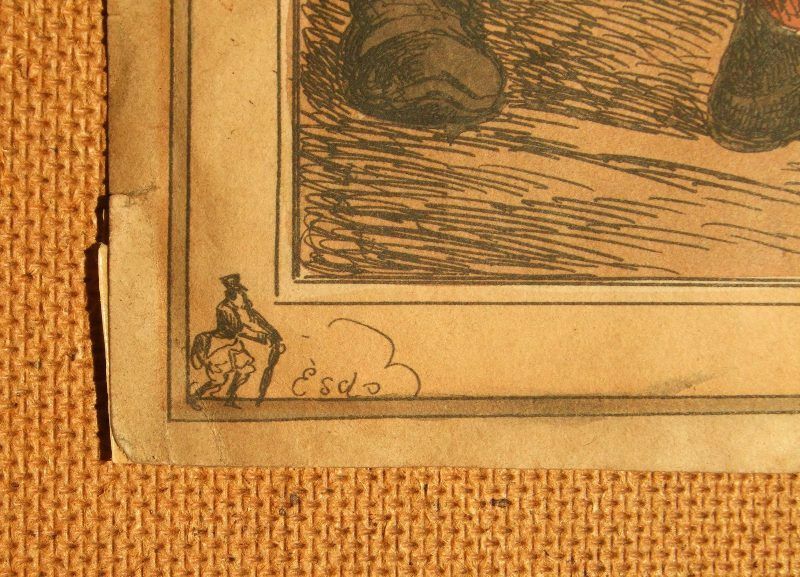 Unframed and unmounted, the condition of the image and sheet is fair, having edge wear, handling marks and an overall toning condusive with age.